Bena co has been in the industry for 20 years. Our longstanding partnership with SAMSUNG allows us to import the best authentic products from Samsung’s stellar lineup. Our top notch technicians can install and maintain our products to work on any door you have. Our skill, experience and know-how will help you select the optimal product and provide you not only goods and services, but security and maximum satisfaction, guaranteed. Number 1 in Information and Communications Technology in Korea, World Leader of Radio Frequency Identification Solutions. Trust the Quality and Technology of Samsung. 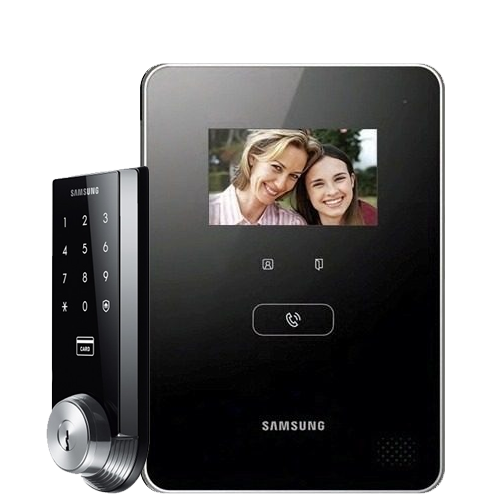 The Samsung Digital Door locks & Video Intercom systems are easy-to-use and have features with unlimited possibilities. Designed with the latest technology, you would definitely want one installed at your home, work-place or anywhere that has a door! A built-in digital touch pad to set your own private password. A welcome feature for users. Sensory detectors inside the lock can detect motions within 70cm range. Set door lock to manner mode for quiet night outings. The new Push-Pull design makes the door lock much easier to use. You can simply push and pull to exit your house. Alert system for any possible intruders. The SHS-718 allows a speedy and accurate access with the optical fingerprint authentication. Directly targeted towards the modern homes in Canada, BENA Co. provides the best key-less entry solutions throughout the GTA. 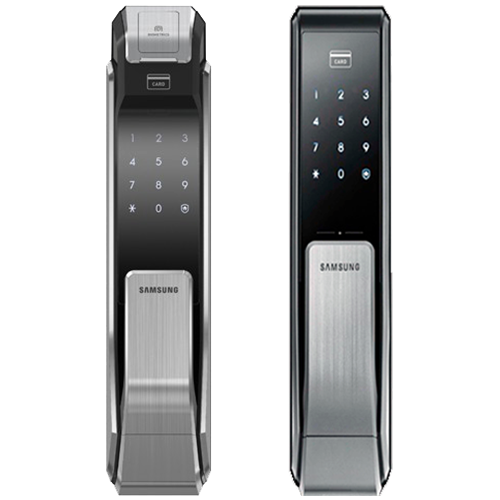 BENA Co. is proud to serve to you the most innovative digital door lock technology designed by SAMSUNG SDS. Completely compatible with any modern home, you can say goodbye to your keys! Book an appointment and have your new key-less door lock installed and ready to use in just hours!